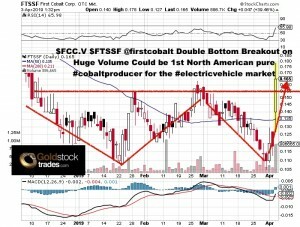 First Cobalt $FCC.V $FTSSF just put out news today. 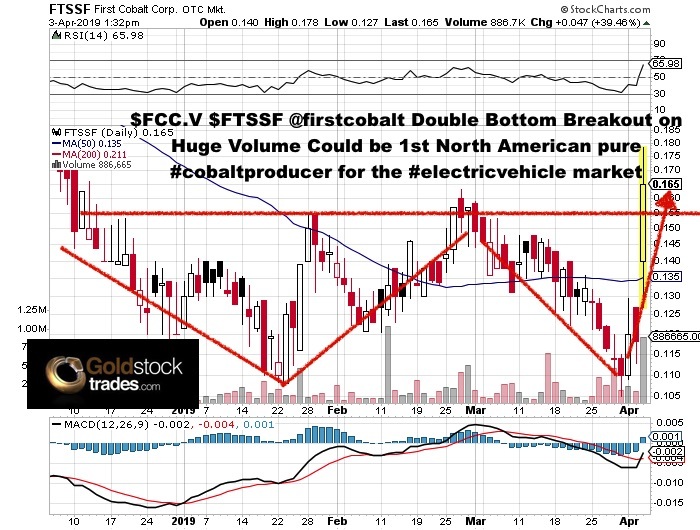 See my interview with First Cobalt $FCC.V $FTSSF CEO Trent Mell. -successfully produced a battery grade cobalt sulfate using the First Cobalt Refinery flowsheet. -closer to recommissioning the only permitted primary cobalt refinery in North America. -discussions currently underway with automotive companies, cobalt miners and capital providers can now move to a more advanced stage. Jeb Handwerger is not a registered investment advisor! Junior Mining Stocks are very risky! Buyer Beware! Assume Author (Jeb Handwerger) owns shares in featured companies and that I want to sell them for a profit. Sponsors are website advertisers so that means I have been compensated and have a conflict of interest to help boost awareness of this story. The content of this article is for information only. Readers fully understand and agree that nothing contained herein, written by Jeb Handwerger about any company, including but not limited to, commentary, opinions, views, assumptions, reported facts, calculations, etc. is to be considered implicit or explicit investment advice. Nothing contained herein is a recommendation or solicitation to buy or sell any security. Author is not responsible under any circumstances for investment actions taken by the reader. Author has never been, and is not currently, a registered or licensed financial advisor or broker/dealer, investment advisor, stockbroker, trader, money manager, compliance or legal officer, and does not perform market making activities. Author is not directly employed by any company, group, organization, party or person. The shares of these companies are highly speculative, not suitable for all investors. Readers understand and agree that investments in small cap stocks can result in a 100% loss of invested funds. It is assumed and agreed upon by readers that they will consult with their own licensed / registered financial advisors before making investment decisions. Readers understand and agree that they must conduct their own due diligence above and beyond reading this article. Author is not responsible for any perceived, or actual, errors including, but not limited to, commentary, opinions, views, assumptions, reported facts & financial calculations, or for the completeness of this article or future content. Author is not expected or required to subsequently follow or cover events & news, or write about any particular company or topic. Author is not an expert in any company, industry sector or investment topic. Is Trump Sparking a Revival in US Lithium Sector?